This is a nice little salad I stumbled upon as I was messing about with ingredients I like and are healthy. No surprise really, I’m back on the training program and becoming mindful of what I eat – with a big run only a month away. This focus on healthy eating will of course be put on hold at Christmas time 😉 . First make the dressing by combining all ingredients in a screw top jar or salad dressing shaker. Mix well until combined and then set aside. Dry roast the walnuts in fry pan if not already roasted. Place lettuce leaves into a shallow bowl or serving dish. 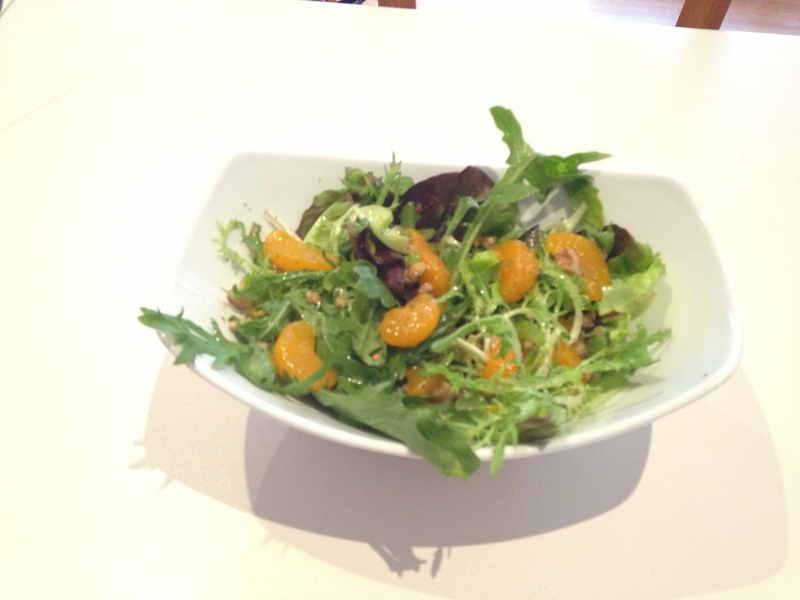 Scatter half the celery, half the mandarins and half the walnuts over the lettuce then toss to combine. Scatter the remainder of the celery, walnuts and mandarins over the top of the salad mix. Drizzle dressing over the salad and gently toss to combine. Serve immediately as a side dish.